I was pretty excited to watch this film, just the fact that Jason Bourne wasn’t involved, and how that was going to work. I had a lot of faith in this film since one of my favourite actors was cast as the main man. Jeremy Renner coming off four major films, The Hurt Locker, Mission Impossible: Ghost Protocol, The Town and The Avengers, all of which are amazing films, seemed like the perfect person to play Aaron Cross, and he was, but the film itself was quite a let down. It was always going to be hard to incorporate Aaron Cross into the Bourne series, and the story alone is smart and convincing enough for Jeremy Renner to enter the world of Jason Bourne, but the film told the story in an inefficient and dis-jointed manner, it needed more flow for audiences to get a grasp of what was happening. After the first 45 minutes, which were very tedious due to its slow pace, the film really kicked to life and gave Aaron Cross a purpose. The action sequences were engaging and exciting, but overall lacked the intensity and tension that the previous films provided. The ending didn’t really conclude on anything which made it seem a little bit pointless, but maybe that was the intention to illustrate some unfinished business. Another thought walking away from the film was that it felt like a very thin plot, compared to the previous films which were very complex and interesting, it felt too much like an origin story without the aftermath. For this film to be as satisfying as its predecessors, it needed a compressed beginning and an extra hour of Aaron Cross bringing hell to Blackbire, alternative government programs and the pharmaceutical industry. This film really needed to be longer to include more action, but more evidently it needed the previous director of the Bourne series to give it the TRUE atmosphere and intensity it needed, which could have been the difference between another classic and this. But as a Bourne fan, I am hoping that Jeremy Renner can have another go with a more vengeful and determined Aaron Cross joining the war against the corrupt government programs. 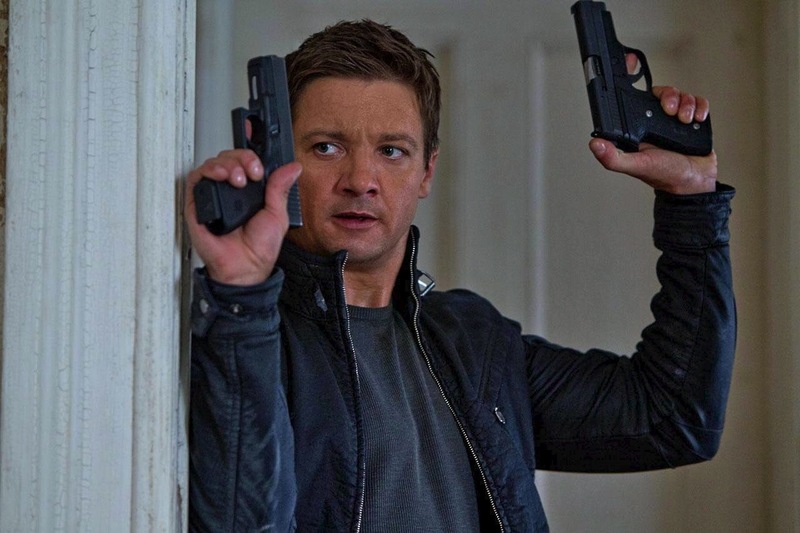 What did you think of the new Bourne actor Jeremy Renner? Would you guys be up for a sequel with both Aaron Cross and Jason Bourne? And what did you think of the introduction of Aaron Cross, do you think they should have finished at The Bourne Ultimatum? This entry was posted in Roze-Reviews and tagged Aaron, America, Angeles, Asia, Bourne, Christchurch, Comic, Con, Cross, Damon, Dunedin, Edward, England, Film, Identity, Jason, Jeremy, Legacy, London, Los, Matt, Movie, New Zealand, Norton, Philippines, Rachel, Rating, Renner, Review, Rozeminho, Supremacy, The, Trilogy, Ultimatum, USA, Weisz by rozeminho. Bookmark the permalink.